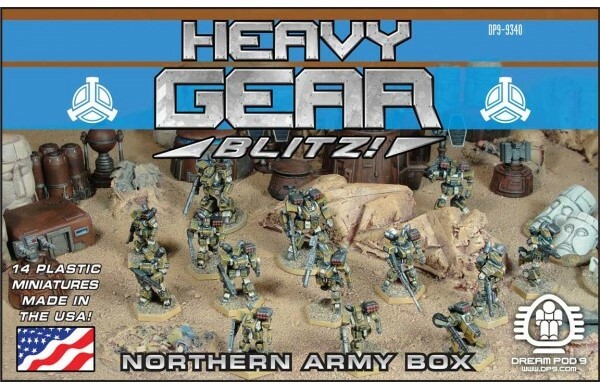 Dream Pod 9 have now collected together their Starter Sets for Heavy Gear Blitz and they will be available at Gen Con and on their webstore too. The new plastic sets are looking great and leading the way is the Two Player Starter Box. 1x Full Color Quick Start Rulebook, 4x Hunter, 4x Jaguar, 2x Cheetah, 2x Grizzly, 1x Kodiak, 1x Ferret, 4x Jager, 4x Black Mamba, 2x Iguana, 2x Spitting Cobra, 1x King Cobra, 1x Recon Drone, 1x Hunter-Killer Drone, and 1x Demolition Drone. ...and then finally the CEF and Caprice Plastic Sets which are also looking good. As mentioned above these are now all plastic sets and should bring a lot more people into their world with this lowered barrier to entry. 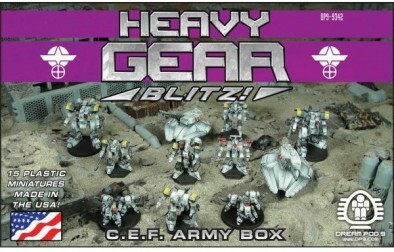 Each box comes with between ten and sixteen miniatures for you to get started in Heavy Gear Blitz with. 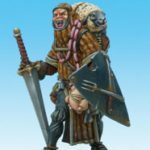 Additionally you can also check out the full range of Gen Con Week specials over on their webstore HERE. 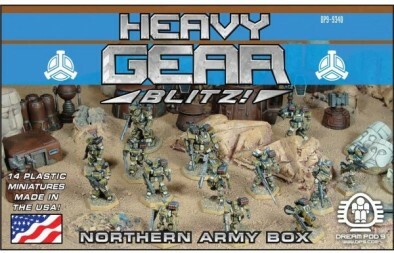 Will you be getting into Heavy Gear? "As mentioned above these are now all plastic sets and should bring a lot more people into their world with this lowered barrier to entry..."
It’s always great for a company to sell to the public before delivering on their Kickstarter. Add another one to the list. I just checked their website. You can preorder now but it won’t ship till end of August. It specifically says they won’t go out till after all the backers shipments. You can’t really fault them for taking it to gencon. It’s THE gaming PR event of the year. Missing gencon because the backers shipments are going out just after it would be crazy. They’re only selling some stuff at Gencon to raise awareness for the game and help grow the community. And the whole reason that they’re able to do that in the first place is that they are literally stopping by the sprue manufacturer and picking some extras up to bring with them to Gencon and package/sell when they get there on their way to Gencon. Very similar to the Monolith team and the conan game.They’re at Gencon, they have copies of the game to raise awareness but have stressed they won’t be selling anything at the event. 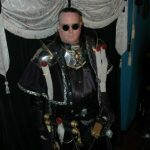 I think if you’re a games manufacturer you have to go to GenCon really. They look pretty cool. I’d like to see a demo game some time. I absolutely loved the RPG books they used to produce – the setting is really something amazing – although I never got into the miniatures wargame. I wonder what the rules are like these days? Hot damn! I thought I’d have to wait till October or November! 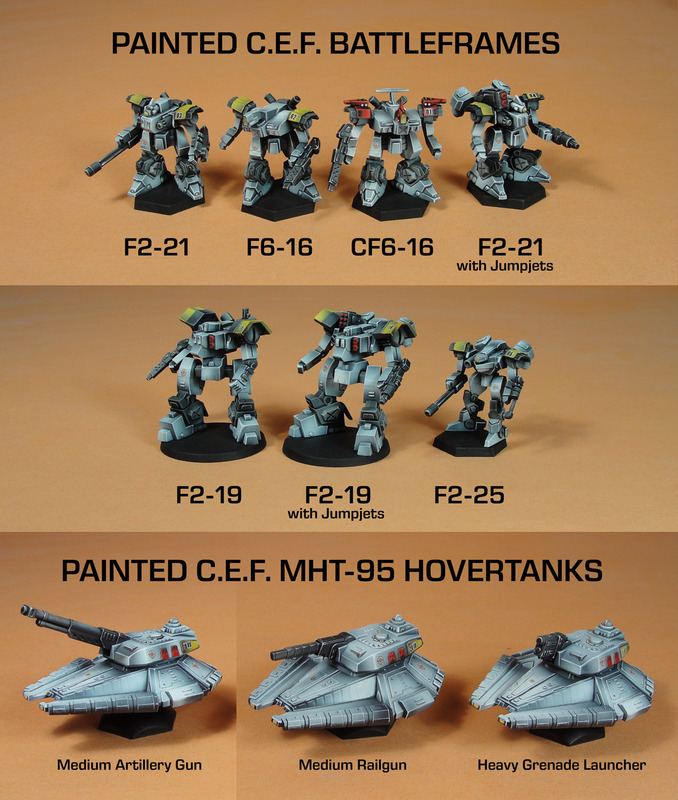 Between this and Halo ground battles I’ve got my 15mm scifi all set. No, it’s roughly 12mmish (not kidding). The infantry minis might look a bit tall, but you probably wouldn’t notice the size difference with anything else. The mechs especially would be seamless. http://urbanzone.ehost.pl/blog/wp-content/uploads/2013/05/SDC12805.jpg – Caiman, the smallest vehicle I have (southern IFV) and Bear – the size difference is not so noticeable with these, but other vehicles from the Heavy Gear line are way bigger. http://urbanzone.ehost.pl/blog/wp-content/uploads/2013/11/SDC13574.jpg – top row from the left: Badger APC (North), Voltigeur heavy tank (NuCoal), 1:144 Panther, Sampson APC (NuCoal); bottom row: Bear APC (DZC), Sabre (DZC), Aller heavy tank (North). Is that scale difference more to do with the art style of the games though? 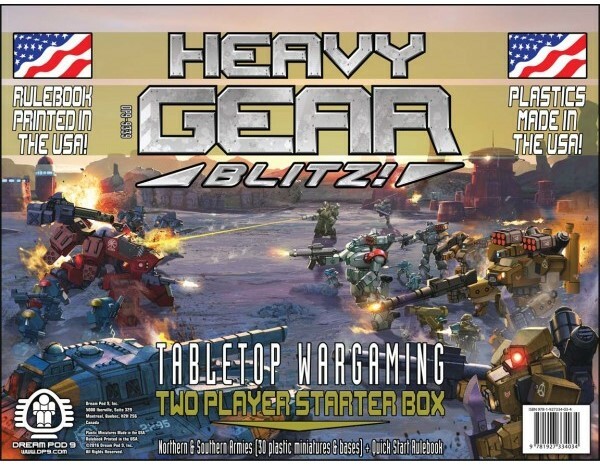 Does Heavy Gear have an over-exaggeration of scale, a bit like GW’s super-heavy tanks? The two APCs on the left of the second image look roughly in scale (the HG one is slightly chunkier) whereas all of the tanks look much bigger than the DZC stuff DZC tanks. How would the Aller Heavy tank compare with the UCM Gladius or the Resistance Alexander? I’m not being argumentative by the way, I’m genuinely interested in the relative scales. 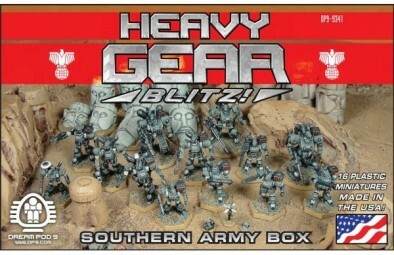 I backed heavy gear as a good way to get some miniatures I could use in a Battletech RPG (because most of the battletech mech designs just look a bit goofy) but it’s useful to know if there’s other ranges they’re compatible with and in all honesty, infantry is probably the least important bit for Battletech. Personally I hope some day to convince my DZC sparring partner to create together stats for HG stuff for DZC and pit forces from both universes (and maybe Planetfall too) agains each other. 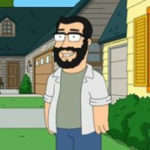 Awww yeah! 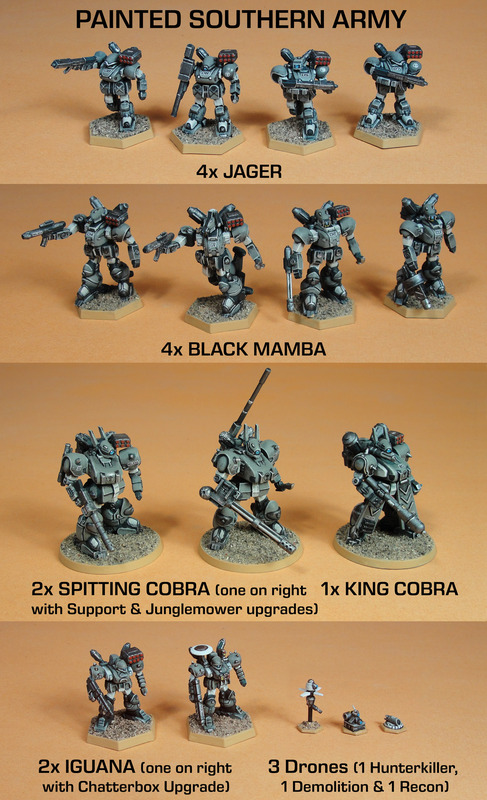 Those are some good looking starter sets. 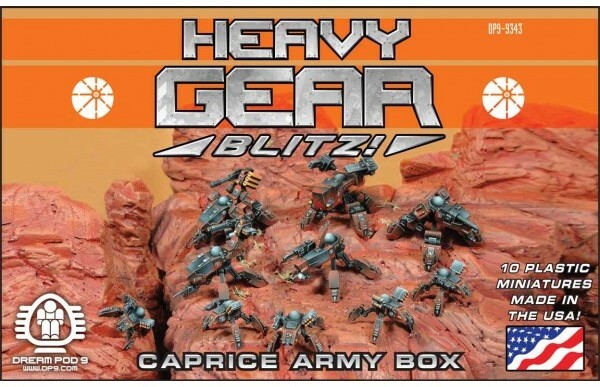 Well It should be interesting to see what they have at GenCon for my backer news letter stated that they are going to get their first shipment of sprues next week. If you’re a backer and are going to gencon, you can contact them about picking up your kickstarter reward at Gencon. 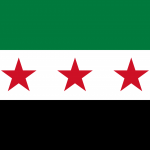 They seem to be trying to do that for as many people as possible that contact them, at least from what I’ve gathered. I wish they would release higher res pics of the stuff. It’s so hard to see anything on the cover shots. How can people making a buying decision if they can see what they are buying? They’ve released higher res shots of the models in past outside of the box cover art. I’ll see if I can dig some up from the kickstarter pages. 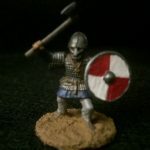 It’s really interesting seeing the photos of the maintex miniatures on the hexagonal bases vs. round ones. The round ones look soooo much better! 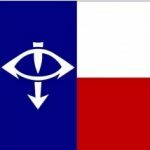 @zethnar – I’m lazy and haven’t read the rulebook yet: are hexagonal bases important for the game? I know they’ve always had them (and I think at one stage the game was played on a hexagonal map, wasn’t it? ), so I assume there was a rules reason to do with facing, etc. But if round bases are no problem, that’s a big help in making the game look better. They were in previous editions, they helped determine facing. I’m not sure if that’s still in the new rules though (I haven’t actually read the new ones myself), even if it’s not, it’s not hard to mark facings on a circular base. 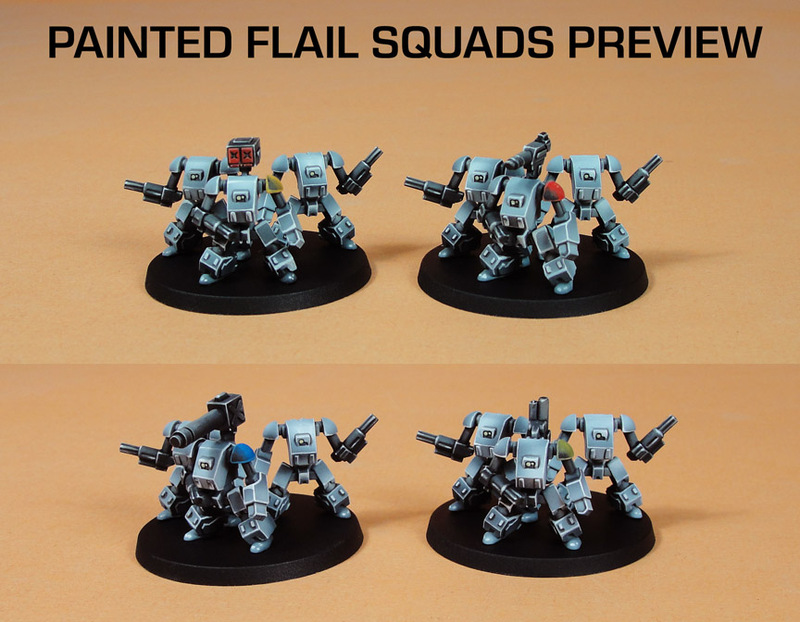 I prefer the hex bases though, I think they look cooler than the circle bases. In the new rules there are guidelines for basing. 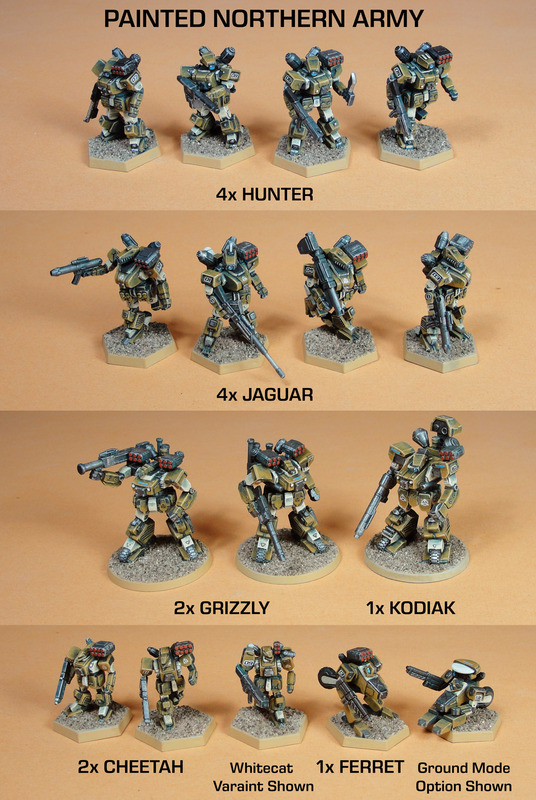 Hex bases aren’t important, you’re free to base your gears on equivalent round bases such as the GW standard. I personally use 32mm lipped round bases because they looks tight, and they’re a-ok by the rules. oh man I love the Caprice force. 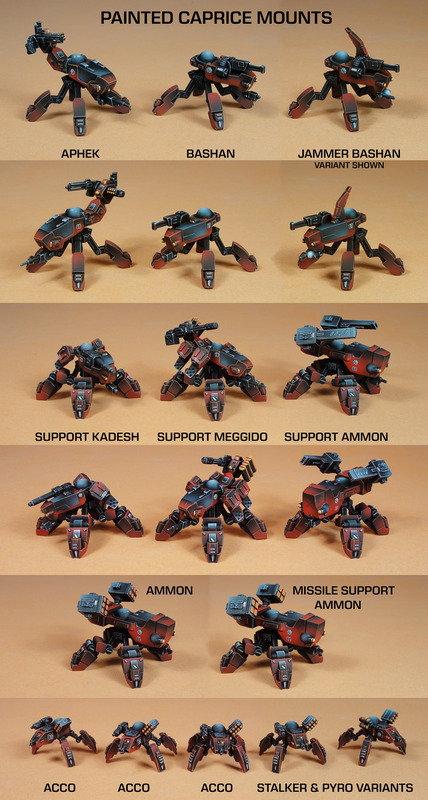 they scream multipede ghost in the shell tanks! DP9 has been up front from the beginning with me and like someone else said before, beating me to the punch, not taking the figures now would be a pr’s worst nightmare. 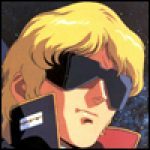 Robotech Tactics was one of those special cases that was obvious from the companies history was going to be a train wreck from the get go. DP9 has had this IP for some time, so I never had doubt they could pull this off. I just hope with plastics now on the way, they can lower the price tag a bit to attract more players. Other wise this game wont grow much outside of the community that already play it.